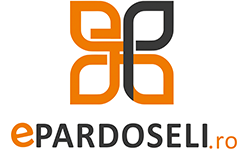 Epardoseli Retail (ePardoseli.ro) is a privately owned company, founded almost 10 years ago. The object of the company is the import / distribution of construction materials dedicated to residential and public interior design. ePardoseli offers a high number of LEED and BREEAM certifications offering its customers the opportunity to raise the ecological performance of buildings, those who wants and not only. Here are some top producers such as PARADOR (Germany), TARKETT (France), TAPIBEL (Italy), INCATI, (Italy), BALTA (Belgium), MODULYSS (Belgium), IVC (BARLINEK) , Karelia (Finland), Polarwood (Russia), RADICI (Italy), VORWERK (Germany), MARAZZI (Italy), etc. The main products marketed by ePardoseli are: Parquet, Carpet, Ceramics, PVC, Natural Stone, Wallpaper and related accessories, and for a rigid implementation of materials it also offers assembly services for the marketed materials. For the time being, ePardoseli operates across Romanian territory due to the on-line sales platform and offers consulting for his customers and architects to its showroom in Bucharest. The orientation towards the current market segments is motivated by the desire to offer to the Romanian customer high quality technical solutions and material at affordable prices. Starting with 2015, ePardoseli has made a qualitative leap in its work, resulting in an increase in the number of customers and business partners due to the careful selection of materials and services suppliers with high quality standards. Quality, professionalism, speed, seriousness and last but not least, the affordable prices are the fundamental basis of our company, such as our customers to be satisfied with the materials and services offered by ePardoseli. However, we know that there is always a possibility to be better and for this, we accept and permanently apply new and modern ideas for continuous development of ourselves.